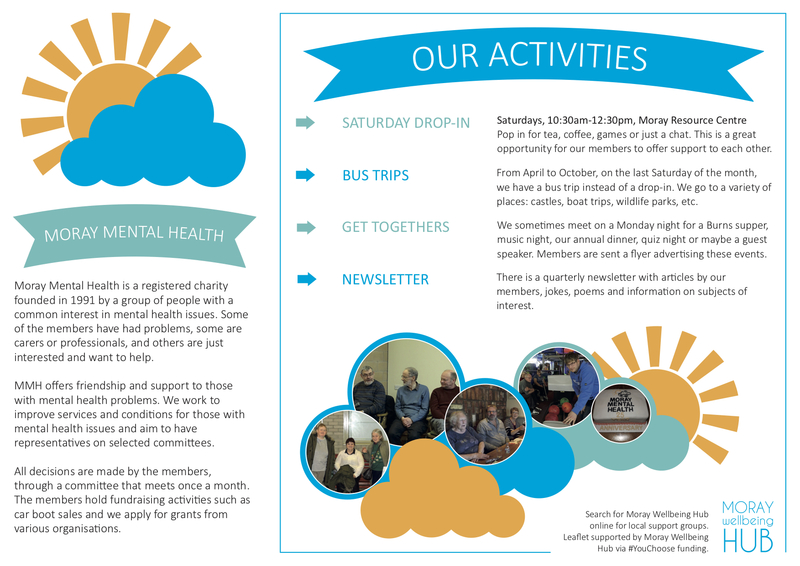 Offers friendship and support to those with mental health problems. Pop in for tea, coffee, games or just a chat. This is a great opportunity for our members to offer support to each other. From April to October, on the last Saturday of the month, we have a bus trip instead of a drop-in. We go to a variety of places: castles, boat trips, wildlife parks, etc. We sometimes meet on a Monday night for a Burns supper, music night, our annual dinner, quiz night or maybe a guest speaker. Members are sent a flyer advertising these events. There is a quarterly newsletter with articles by our members, jokes, poems and information on subjects of interest. Please download and complete the form below to join (it’s free! ).